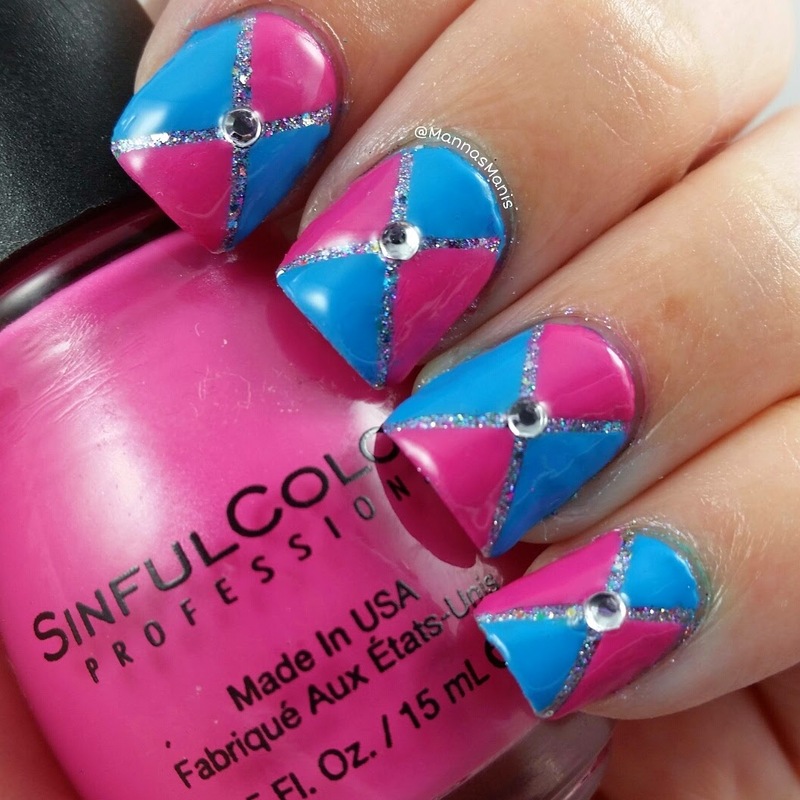 Today I will show you a tutorial for another favorite mani, using striping tape and rhinestones! Level of difficulty: Medium. Striping tape can be difficult. 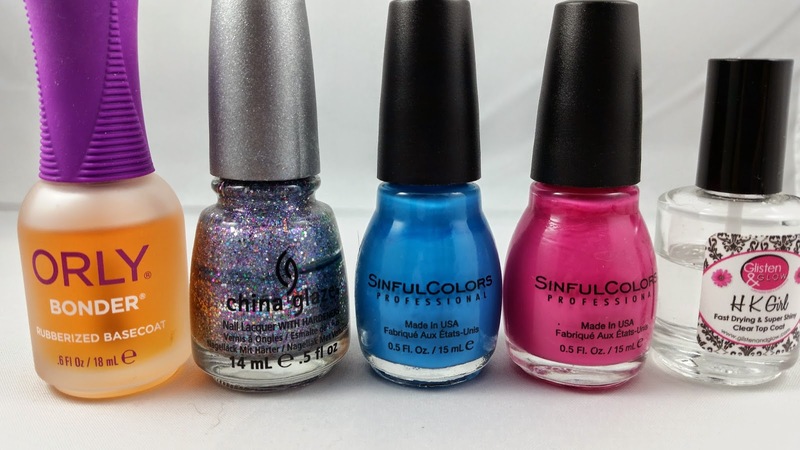 L-R: ORLY Bonder, China Glaze Liquid Crystal, Sinful Colors Jolt, Sinful Colors Pink Poppys, HK Girl top coat. 2. 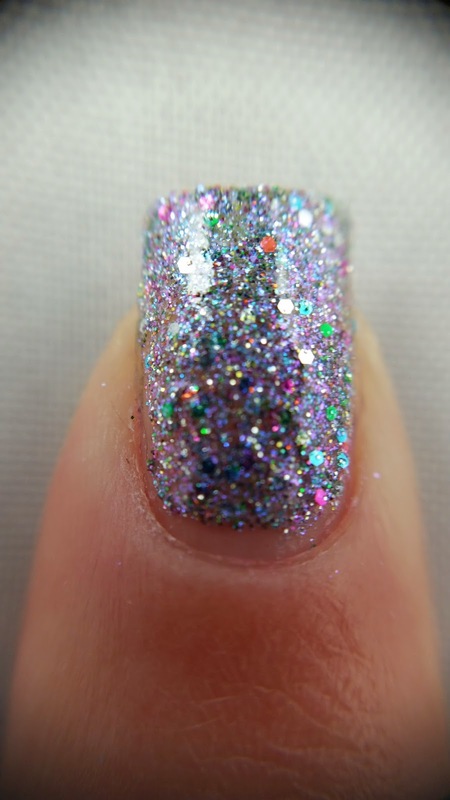 Apply 2 coats of a glitter polish. I highly recommend Liquid Crystal. 3. Optional, I add scotch tape around my nail for easier clean up. 4. 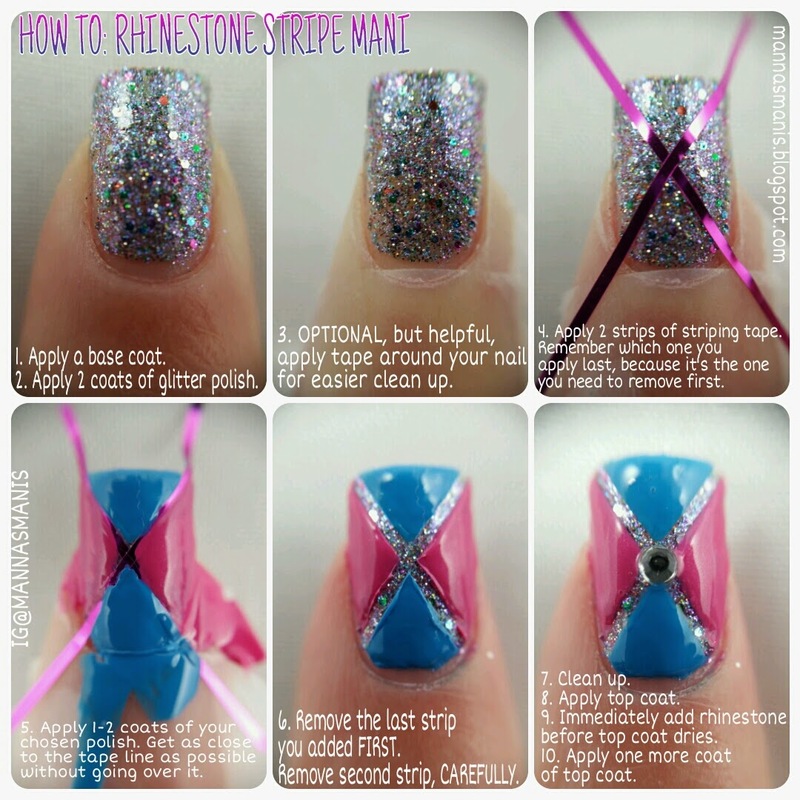 Apply 2 strips of the striping tape. TIP: Remember which one you placed last, because it will be the one you need to remove first. 5. Apply 1-2 coats of polish. 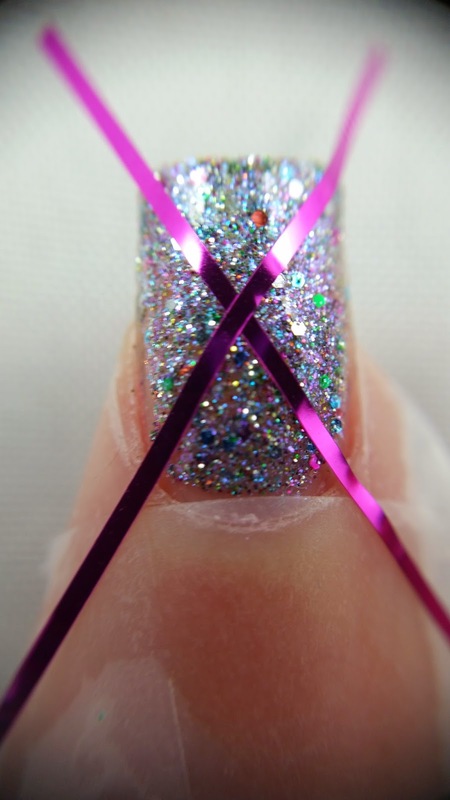 Get as close to the tape line without going over it if you're using more than one polish! You can opt to use a paintbrush here instead, as sometimes polish brushes are difficult for tiny spaces. 6. Remove the last strip you added FIRST. 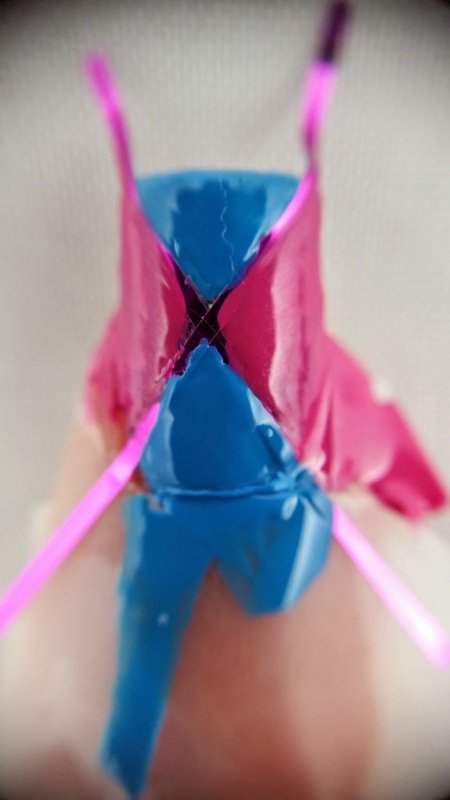 Remove second strip. Do this immediately per finger, do not wait for polish to dry or the strips will pull polish up. You can also remove tape around nail here. You can do this with tweezers if you wish. 7. Clean up around your nails with a brush and acetone. 9. 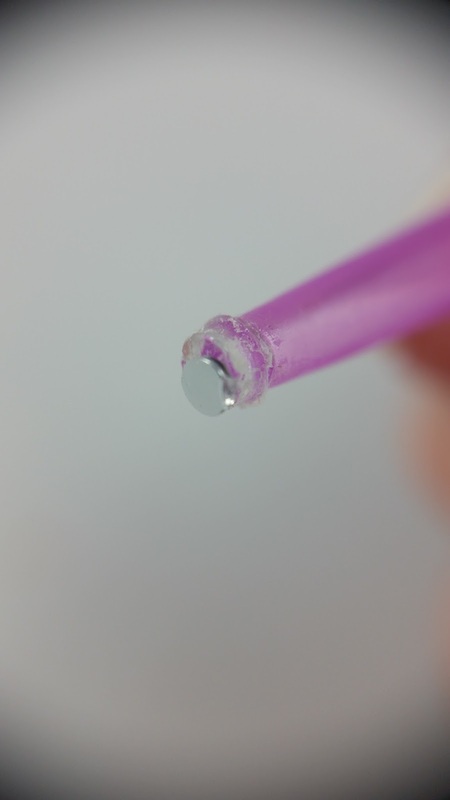 Apply rhinestone to middle of nail, before the top coat dries. 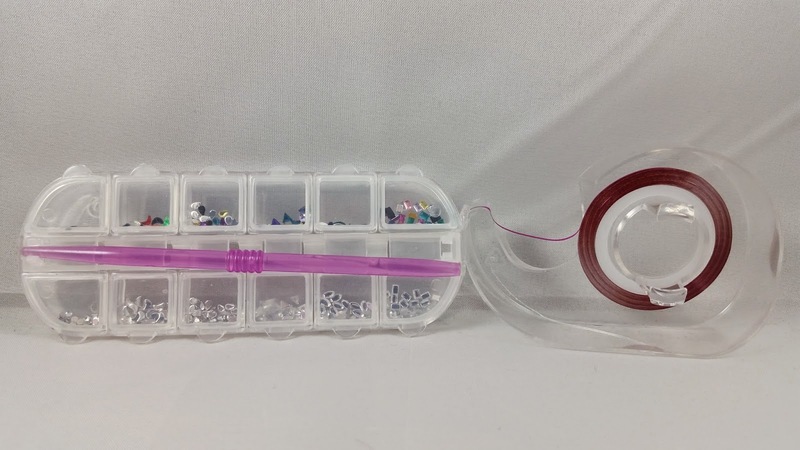 You can opt to use nail glue here instead. 10. Apply one more coat of top coat.